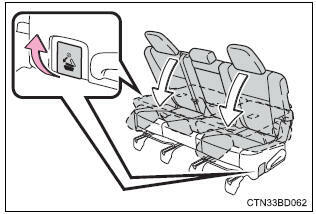 With a side table: stow the side table. 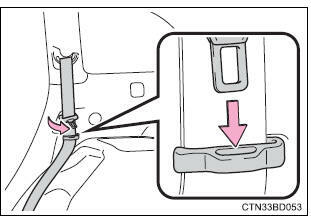 Stow the second seat belt buckles. 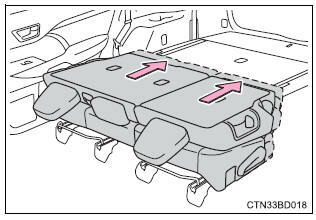 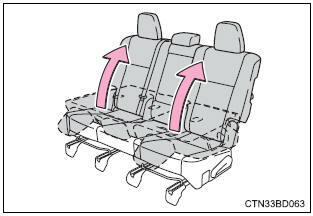 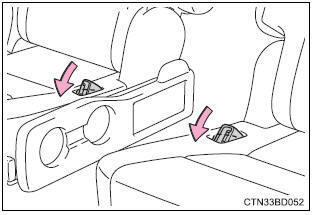 Lower the head restraints to the lowest position. 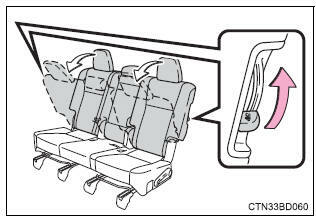 Pull the lever to unlock the seatback. 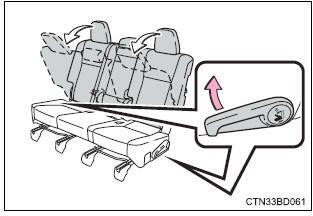 The seatback will be folded down. 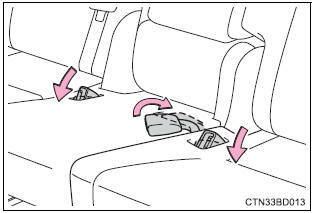 Slide the folded second seats backward until they lock.